Edmunds.com reviews weren't lying when they called the 2016 Mazda CX-9 one of the sharpest-looking crossover SUVs of 2016. Indeed, it is very handsome. But other than its good looks, the Mazda CX-9 in Springfield, Missouri, is packed with top-tier technologies and fantastic features that once again are making it a popular pick among SUV shoppers in Springfield, Missouri. See for yourself in our 2016 Mazda CX-9 review below. Since this seven-seater SUV was first introduced into the market nearly 10 years ago, it hasn't seen many changes. That's not the case anymore. 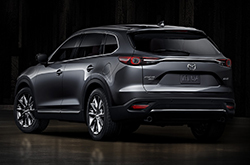 For 2016, the Mazda CX-9 gets a major facelift and under the hood enhancements, as well. Starting outside, the Mazda CX-9 in Springfield gets a new, trapezoidal grille - one that follows suite with the Mazda CX-5, Mazda6 and Mazda3 models, along with new LED headlights, leaner-looking taillights and an elongated hood. Updated wheel designs also add to the eye-catching appeal of the new Mazda CX-9. Inside, the premium materials and decadent cabin design only add to the SUV's wow factor. Featuring a sleek new dashboard, enhanced components, well-appointed seats and more, this family-friendly SUV is sure to impress guests. On the entertainment front, it gets a standard 7- or available 8-inch infotainment display, along with Mazda smartphone integration. Plus, you'll stay connected with the Mazda CX-9's two front and two second row USB ports. Underneath the hood lies a 2.5L four-cylinder engine that produces 227 horsepower and 310 pound-feet of torque, paired with a six-speed automatic transmission. 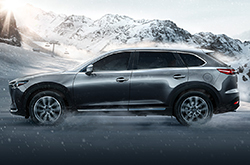 Front-wheel drive comes standard on the Mazda CX-9, while all-wheel drive is optional. Safety-wise, the Mazda CX-9 is packed with world-class technologies, like radar cruise control, lane-keeping assist and departure warning, Smart City brake support, automatic high beam control, and distance-recognition support with forward obstruction warning. 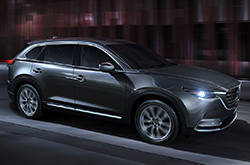 For more information, continue reading our 2016 Mazda CX-9 review below. After you're finished, visit or call us to schedule your test drive today! 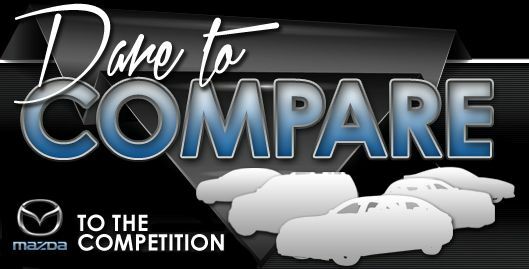 We want you to compare the most current Mazda CX-9 model side-by-side with competing vehicles like the 2016 Dodge Durango, Chevy Traverse and the Ford Edge. That's how confident we are that it's perfectly fitted for you. With progressive cabin features and an tasteful design, shoppers will love the Mazda CX-9. Compare its price against the vehicles in its class and you'll surely see that it's a truly outstanding value, which makes it a top choice for many Springfield Mazda customers. Get more details about what it offers - Take a peek at our Mazda CX-9 Quick List underneath this text! We know your next Mazda purchase is important; that's why we've provided the 2016 Mazda CX-9 review above, along with reviews of earlier models. There is a reason why we are one of the Springfield area's top-rated Mazda retailers. Just one reason is that we provide reviews recorded by well-informed automotive writers. Once you start in on reading, you'll find that this article is bundled with vehicle specs in a format that's easy to read. Use it to get the info you need to make an wise purchasing decision. Is the Mazda CX-9 not right for you? Use our Mazda reviews and car comparisons to learn about other finely crafted vehicles on the lot at Reliable Mazda.